Every wedding is a challenge. The excitement of the day. The nervousness of the bride and groom. It's these things that makes photographing weddings so much fun. How does a photographer show this excitement and the energy that takes place at every wedding. As photographers we are constantly looking for a new approach. A different angle. In the image above not only are the shoes of the bride and groom highlighted, but they are also shown from a different angle. From behind walking away. 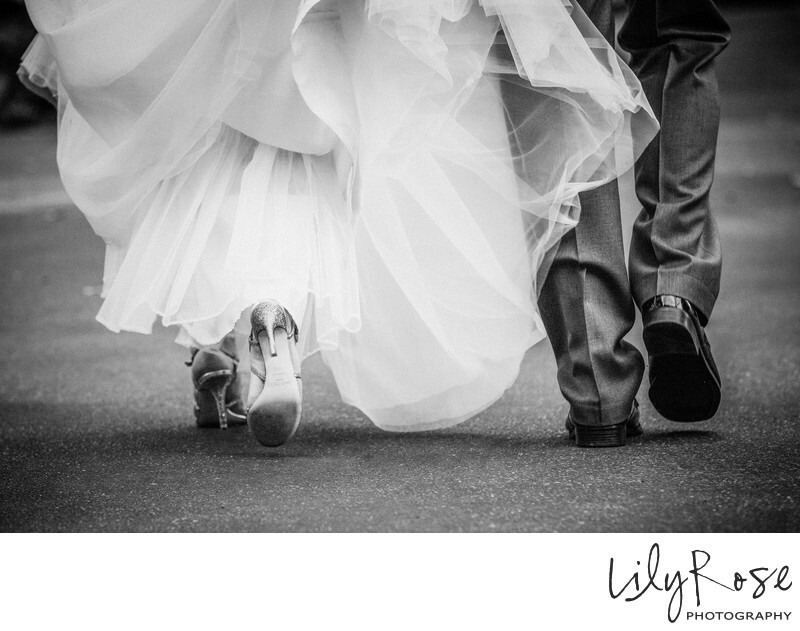 The sense of motion in the image leads one to image the excitement of the wedding day. The question of where the bride and groom might be going is suggested, but not explained. The couple could be hurrying off to their reception or even leaving their event for their honeymoon. If those explanations are too simplistic then possibly you might consider that they are leaving on their life's journey together. This picture is not just a picture of shoes but it's more than that. It's a suggestion that together they will travel life journey together. Tackling obstacles together, good times and bad, their journey will not be traveled alone. Where this journey will take them is unclear but the two of them are anxious to get to it and they hurry on. What of the Jimmy Choo shoes? Possibly just the hope that their journey together will be rewarding. At least on their wedding day this is certainly what we all hope for them. Location: 2505 W Turner Road, Lodi, California 95242.